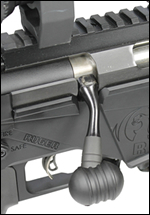 The CTK Ruger Precision Rifle Bolt Knob upgrade offers a secure and repeatable grip, allowing you to cycle the bolt with speed, precision, and comfort. 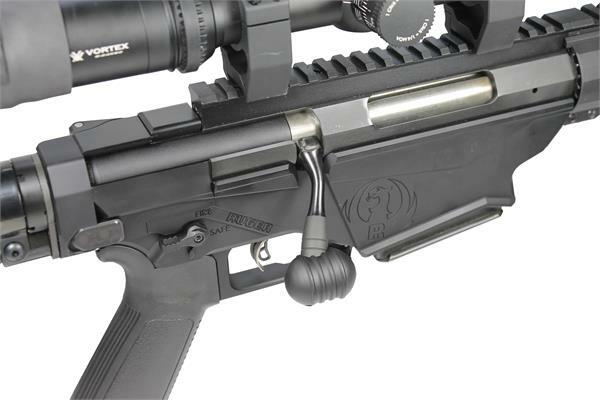 Installation of the CTK Ruger Precision Rifle Bolt Knob (CTK-RPR Bolt Knob) is simple, and allows the user to clock the bolt knob to suit their preference. 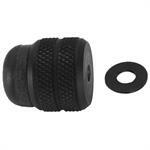 Bolt Knob: CNC machined from aircraft quality 6061 aluminum for high strength and low weight. 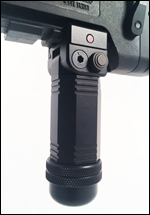 Knob Extension: CNC machined from high strength steel. 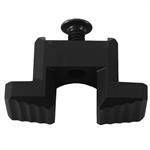 Bolt Knob: Type III hard coat anodized. 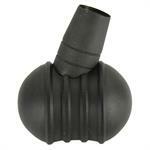 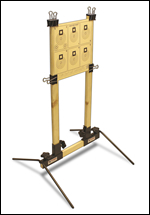 Knob Extension: Parkerized finish provides a smooth interface to the factory bolt knob mounting point. 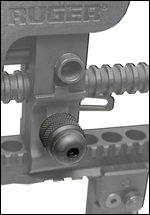 Installation: Simple and secure, requiring only a single internal set screw be tightened and allows the user to clock the bolt knob to suit their preference. 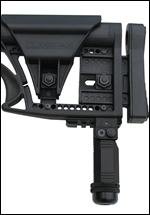 Prevents the Ruger Precision Rifle's folding stock from making contact with the left side of the action while in the folded position. 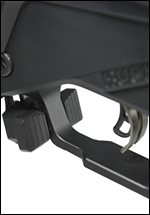 Allows the shooter to operate the Ruger Precision Rifle's magazine release without changing your grip.